During your one-on-one private lessons, you will receive personalized instruction that will help you achieve your goals in dancing. Your instructor will spend the time necessary on technique, styling, and general dance improvement. An up-to-date record of everything you have learned will also be kept as part of your instruction. Private lessons are sold by the program not by the individual lesson, however you can try one of our introductory packages in which your instructor will provide an analysis in order to suggest some basic programs that will get you to your goal. We have many programs for beginners through advanced. Programs are designed around how fast or slow you are in learning, how often you can come in for your instruction, what level of dancer you want to be, and the number of dances you want to learn. This all can be determined on your Introductory package. Our Introductory package is 3 private lessons for $149.95. Call today for your appointment! Private lessons are 45 minutes long. Private lessons are given by appointment between 11:am and 9:pm Mon. - Fri. and Saturday from 12pm to 6pm. You must give the studio 8 hours advance notice to avoid being charged for the lesson. Each lesson is $150. Discounts are available via discounted packages, as well as Groupon and Senior Citizen Discounts. No partner is required. These classes are for beginners, and devoted to Ballroom, Latin, Swing, and Disco dancing and is suitable for beginning and intermediate levels of dancers. Each class is 45 minutes long and the instructor may cover more than 1 dance during that time frame . Classes can be taken anytime within a 90 day period. There are no refunds on tickets bought in advance for any reason. Purchasing tickets gives your consent on these stipulations. Prices and schedule subject to change without notice. We can teach you to dance so anyone will want to be your partner! WE ARE NOT THE CHEAPEST, WE ARE NOT THE MOST EXPENSIVE, WE ARE JUST THE BEST! Most students who come through our door simply want to be able to get out there and DANCE!!! We’ve got the moves and the know-how to make that happen, using our teaching method, which has been tried and true for over forty years. We understand that you don’t want to watch other people dance when you go out to that wedding, or when you go on that cruise. Likewise, we don’t want you to sit there watching, because we know how much more fun it is to be the one dancing. Not only are we happy to be teaching dance, but we are excited to see the progress of each of our students as they become confident social dancers. 8 - hour cancellation notice is required for private lessons. Cancellations made within 8 hours will be charged the full visit amount with no exceptions. A private room is not guaranteed for a private lesson. Private lesson means 1 instructor with 1 student. There can be several private lessons going on at the same time. Please do not leave valuable items unattended. The Rendezvous Ballroom is not responsible for any loss of property. 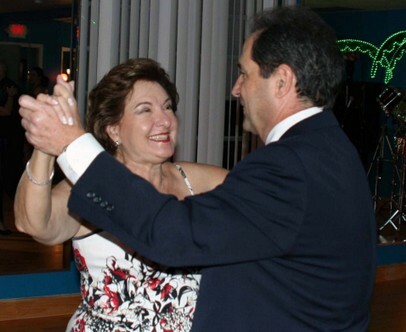 Social: Dancing lessons are an easy, low-pressure way to meet people. International Dance Studios provide weekly practice dance parties, nights out on the town, and regional and national competitions, as well as fun trips to many different locations. Our lessons are the perfect way for couples to rediscover romance by dancing your way to love!